A. - YES!!!!! WE HAVE REOPENED TO SERVE THE COMMUNITY WE LOVE. Q - Does it cost more to see a movie in 3D? A. - Yes, there is a $2.50 up charge to see 3D films. Q - Do you get first run movies? A. - Yes! Beach Cinema Alehouse is a first run theater, playing all of Hollywood’s biggest blockbusters! Q - How does this all work? A. 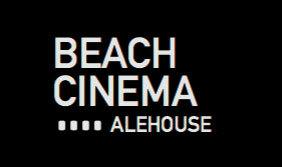 - Beach Cinema Alehouse is a seven-screen, first-run movie theater and dining destination. To enjoy our fabulous menu, arrive 30 minutes before showtime. Purchase your tickets online or at the concierge desk. You can grab a drink at the lobby bar or head directly to the auditorium to order food and/or beverages from one of our friendly servers. Guests can place additional orders after “last call” by visiting the lobby bar. Q - Can I buy tickets in advance and or online? Q - Do you offer gift cards? Q - Do you have to order food/drinks to watch a movie at BCA? A. - No, but we hope you do! Guests are welcome to just watch a movie! Q - Can you order during the movie? A. - Yes! In order to provide our guests with a disruption free movie experience, orders after “last call” must be placed at the lobby bar. Q - Is Beach Cinema Alehouse ADA compliant? A. - Yes, indeed! Wheelchair accessible ramps and seating is available in each auditorium.